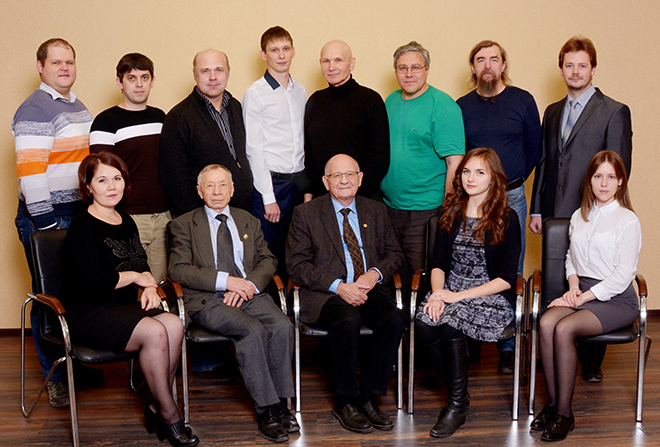 Laboratory of Quantum Electronics was founded in 1986. At the first stage, its main activity was aimed at creating powerful gas lasers, which required research in the field of gas discharge physics. Theories of formation and contraction of volumetric discharges were developed, methods for increasing their stability were proposed. This made it possible to develop repetitively pulsed TEA CO2 lasers of the “NEEDLE” series with record-breaking characteristics and unparalleled technological TE CO2 laser “LAERT”, pumped up by a combined discharge proposed in our laboratory. Using these lasers, a cycle of research on laser ablation of materials was carried out, which made it possible to create a high-performance technology for producing weakly agglomerated nano-sized powders. This served as the basis for a complex of studies using nanopowders for the synthesis of highly transparent, including laser, ceramics. In parallel, studies were conducted to find a highly sensitive non-destructive method for determining the impurity and phase composition of substances. A spectral method was proposed and developed based on the luminescence of a solid substance arising under the action of a high-power nanosecond electron beam. For its practical implementation a pulse cathodoluminescent spectrograph “KLAVI” has been created and is being produced in small series.